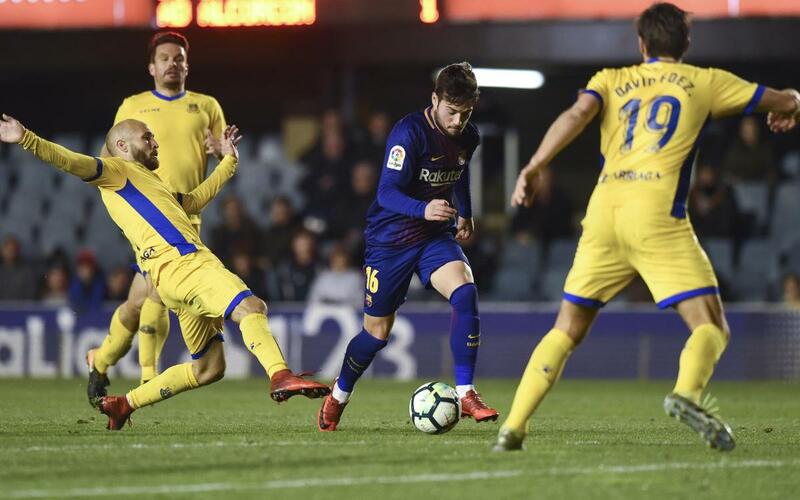 Barça B’s impressive run of three consecutive wins has come to an end after Alcorcon became the first side to beat them in 2018. A crowd of 1,692 supporters at the Miniestadi witnessed how a Carlos Lorens Bellvis goal on 51 minutes was enough for the visitors to claim the three points. And that was despite a dominant display from the reserves, who had a number of chances to score in the first half, the best of which came when Matias Nahuel drove the ball onto the post. Cristian Rivera and Carles Perez both came close as well, and on the few occasions when the visitors did threaten, Alberto Varo was always at hand. So it was very much against the run of play when Alcorcon snatched their goal, Bellvis pouncing on a rebound to convert. Barça B responded by piling on even more pressure than ever, but this was one of those days when the ball just didn’t want to go in. Ruiz de Galarreta, Jose Arnaiz, Carles Aleña … They were all having a go but to no avail. There was a huge ovation for Ballou Tabla, the Canadian who has just arrived from Montreal Impact, and who came on for the last ten minutes to get his first taste of football for his new club. With practically his first touch of the ball he was setting up Aleña for what was very nearly the equaliser. But there was to be no further score, and it all came to a frustrating end for the blaugrana, who have mounted an impressive climb out of danger in recent week, but were left empty handed this time. Next Sunday they’ll be back in action with a trip to Lugo.